Snippets of some great old storefronts on my last amble down Henry Street. Henry is still a little bit off the beaten path of the Smith and Court St scene. 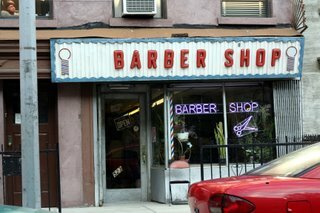 There are old guys sitting out in front of the barber shops, American and Italian flags flying (especially since it's World Cup season), and storefronts dating from the 1950s or earlier. Check 'em out before they get torn down. John Curtin's on Atlantic near Henry. 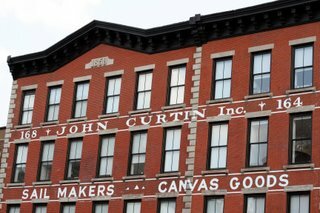 Starting in 1869, back when Atlantic Ave was a major port, Curtin's store made sails and sold canvas goods. The lettering on the sign was touched up about a year ago. 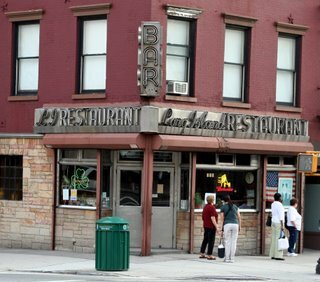 The Long Island Restaurant on Henry & Atlantic, which opened in 1951. Note the Art Deco neon lettering. 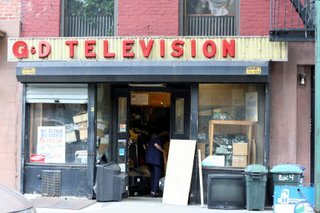 G&D Television, at 329 Henry. 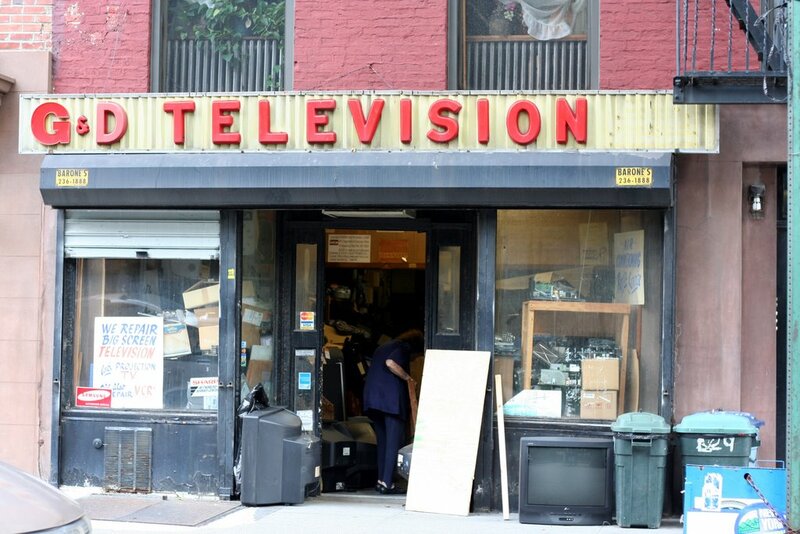 Got an old tv lying around? They do repairs. 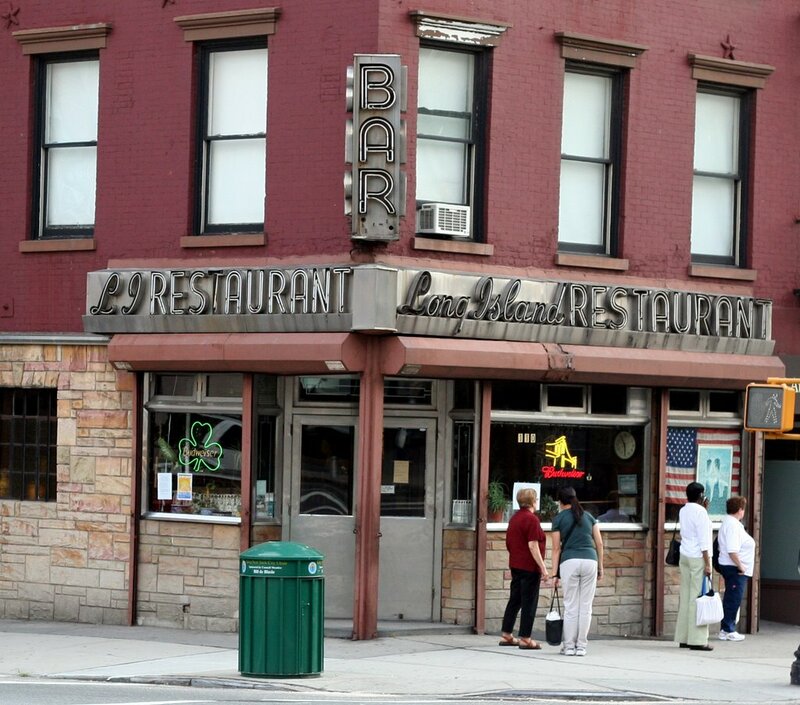 This building was built around 1915 and was designated a landmark in 1970 by the Landmarks Preservation Commission. Tony's Deli Grocery, 331 Henry. 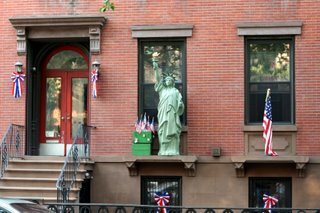 This building was built around 1915 and was designated a landmark in 1970 by the Landmarks Preservation Commission. Lana's Barber Shop, 523 Henry. 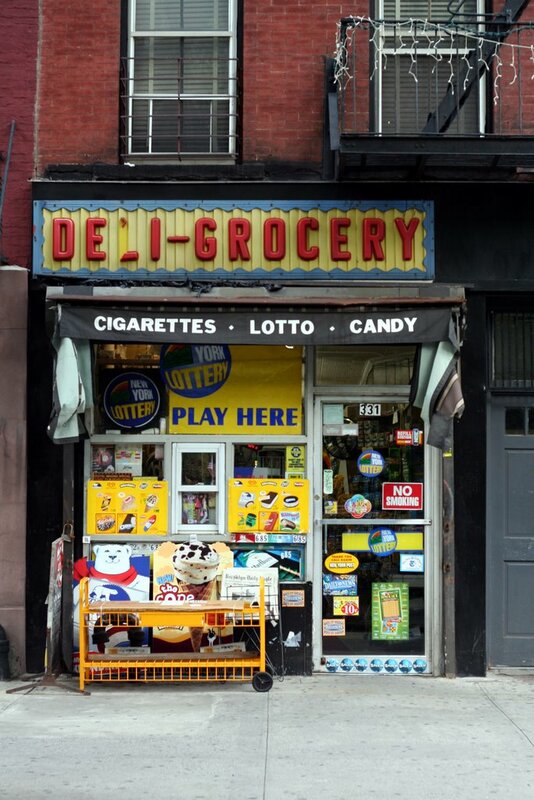 I love this old pop-on lettering. The building was built around 1900. Lana's been my barber for 20 years...she's the best! And for the last 10 years all she talks about is how all these fancier salons coming into the neighborhood are ruining her business..it's tragic. SUPPORT LANA'S BARBER SHOP. She's cheap--REAL haircut prices. and REAL haircuts..not some trendy hipster BS.